Jute, which is also called the ‘Golden Fibre', is one of the most useful, economic and versatile fibres. Jute, which is also called the ‘Golden Fibre', is one of the most useful, economic and versatile fibres. It can be used in various forms in handicrafts, fabric industry and in non-woven form like geo-textiles and agro-textiles. It plays an important role and has the potential to propel the economy. poor supply-chain management. With market going global, Indian jute industry is still following the primitive methods of manufacturing jute products. The products made are costlier and are exported at higher rates as compared to other Asian countries, especially Bangladesh which is one of the biggest threats to Indian jute industry. Despite being a mother industry, it has emerged as a huge decentralised and unorganised sector in the current scenario. Another problem is that its raw material, jute fibre, is basically a coarse fibre and is not suitable for spinning yarn of low count. Due to its coarseness property, the fibre is facing challenges in entering the diversified areas, namely, curtains, upholstery and light weight blankets, like other natural fibres. It is, therefore, essential to find out a fibre from a seed variety which is significantly fine that can take care of the constraints. The National Institute of Research on Jute and Allied Fibre Technology (NIRJAFT) has done lot of research work in this area and has come out with a number of diversified products with jute and other natural fibres. Because of the green revolution, grain production has gone up manifold. This has created an opportunity for the jute industry, mainly in the packaging segment. Earlier, synthetic fibre industry or petrochemical industry was not that big to cope with the demand for packaging materials. But by then, entrepreneurs and investors were not sure about the future of this industry, they were reluctant to pump in more investment or even improving their operational procedures and conditions by introducing new technologies. Of late, challenges have come from synthetic fibre industry in a strong way and the jute industry has started wilting under pressure from the strong lobby of petrochemical industry, mainly from the western part of India. category. The main objective of this eco-label programme is to provide necessary information for environmentally conscious consumers on products that have less environmental impact. But this eco-labelling is being used as a tool during trade negotiations to protect the interests of the domestic industry. In the long-term, there is a chance that more serious restrictions will be imposed on Indian jute industry by the developed countries. Social and labour standards are increasingly being used as a tool to impose restrictions in the name of fair trade. The concept of fair trade was introduced to address the issue of social as well as labour standard in production and marketing of products. Like fair trade practice, Social Accountability Standard is another social standard which may be used as a non-tariff barrier against the jute industry by the rich nations. As the Indian jute industry is facing severe challenges in the international markets from synthetic fibre and from Bangladesh, the industry needs some innovative diversified products to overcome them. We need huge investment in this sector. There is also a need to make entrepreneurs confident about the future and scope of the jute industry. Some major players in jute diversified their investment into other industries like automobile and cement. Now, there is a need to divert investment from other areas into the jute sector. the world. This has opened up new opportunities for the jute industry. The industry should not be confined to the domestic market only, but also venture into international market. definitely put the industry in a dominant position. To revamp this industry and to nurture small ventures, technology business incubation (TBI) appears to be a relevant concept, especially to turn the innovative research ideas into sound commercial ventures. The need for instruments like TBI has been recognised the world over. The various aspects in the successful operation of any type of TBI are its location, preferably to its knowledge source with some formal links. A well-structured business should include the identified focus areas, a good and well structured management team and fool-proof plan for arranging financial resources, including cash inflows and outflows. It should provide an array of services and device well-defined tenant selection and exit mechanism. It should be properly networked with the relevant agencies. Business planning and development (BPD) unit at NIRJAFT is a type of technology business incubation based on jute technologies. To implement the incubation concept, NIRJAFT has come out with the idea of incubation facility for small and medium scale entrepreneurs. The main objectives of this programme is to translate the developed technologies into products at commercial level. It gives thrust to develop infrastructural facilities, laboratory facility, pilot plant facility, cost evaluation and other commercial facilities to satisfy the need and support the entrepreneurs. BPD-NIRJAFT aims to facilitate start-up companies to adopt the technologies and success-fully set up the enterprise that stays in incubation for a sufficient period to overcome risk and instill confidence among entrepreneurs. During last 50 years, the jute industry could manage to survive only with the continuous support from the government. Few traders have run the Bengal jute industry during that period. High support price and assured domestic market for low grade products are discouraging entrepreneurs to look beyond Indian shores with better and diversified products. The future of the industry depends on the introduction of modern production process, induction of medium and small-sized firms replacing the large composite firms, better working conditions and most importantly positive attitude of entrepreneurs who should be prepared to exploit the emerging global market. The initiative of BPD will encourage investors to pump in more money in this sector. In future, a number of jute mills will be seen engaged in a big way in producing jute and jute-blended yarns, especially of finer counts, through various routes of yarn manufacturing. 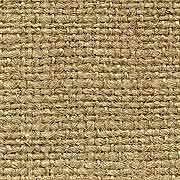 The uses of jute are manifold although the traditional use remains in packing as sacking, Hessian and carpet backing cloth. These light weight yarns are to be used in value-added textile applications like upholstery, furnishing, garments and bags. With continuous support from BPD, the sector can attract more and more investments. Director, National Institute of Research on Jute and Allied Fibre Technology.